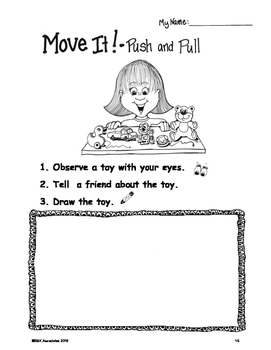 This is an NGSS aligned and improved version of Introduction to Pushes and Pulls for Kindergarten by Science and Kids. 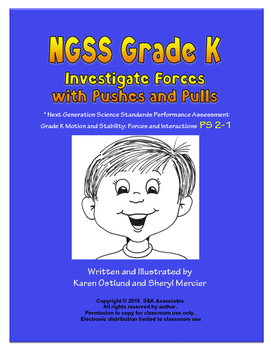 In these NGSS aligned activities/assessments, primary students observe the effects of force (pushes and pulls) and motion. 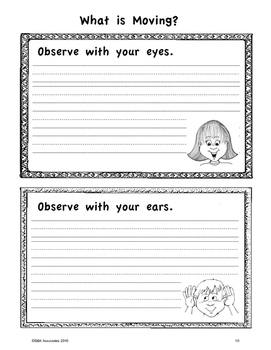 In the first activity/assessment, students observe and describe objects that are moving and identify the force (a push or a pull or both) that make the objects move. Then they draw and describe themselves demonstrating a push or a pull to makes something move. 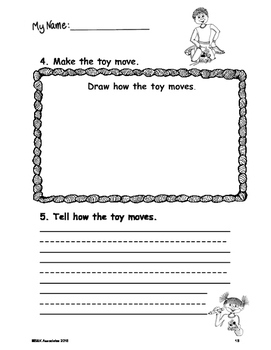 In the second activity/assessment, students observe, describe, and draw a toy at rest. Then they put the toy in motion and describe the force (push or pull) used to make the toy move.